You are going to Watch Avengers Assemble Episode 4 online free episodes with HQ / high quality. 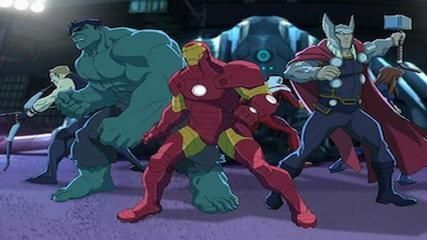 Stream cartoons Avengers Assemble Episode 4 Online The Serpent of Doom. Thor believes he must sacrifice himself to save the world from Doctor Doom when he summons the Midgard Serpent using a powerful Asgardian weapon.